Pharmaceutical companies have dominated the business news cycle in 2014 thus far. More specifically, reports of pharmaceutical takeover bids have been prominent, with a trio of high-profile cases stealing recent headlines. Late this May, the U.K.-based AstraZeneca, maker of the widely used acid reflux disease drug Nexium, rejected a takeover bid from industry titan Pfizer. Finding a more favorable outcome was U.S. pharmaceutical AbbVie, which recently secured a $54 billion dollar merger with Ireland’s Shire Plc, to be finalized later this year. AbbVie’s former parent company Abbott Laboratories saw $5.3 billion in foreign generic drug assets snatched up by Mylan Inc. in another takeover. Although one of these bids did not ultimately find success, the three proposals have one glaring detail in common: they are deals in which U.S. firms have sought to lower their corporate tax burden by overtaking companies located overseas, in jurisdictions that levy lower tax rates. Actions taken by U.S. pharmaceuticals this year appear to be an indictment of the United State corporate tax rate itself, which at 35 percent is one of the highest in the developed world. The gripes of the business community and supply-side economists, for whom the U.S. corporate tax rate is a favorite target, appear to be legitimized by recent actions taken by American pharmaceutical companies. Of course, it would be unfair to pin the motivation behind such takeover bids solely on corporate tax avoidance. A significant force within the pharmaceutical world is the specter of drugs losing patent protection, or going generic. When a drug manufacturer develops a drug, it typically is entitled exclusive rights to the sale of that drug through patent rights. After a period lasting 10-15 years, however, a drug loses its patent protection, allowing other firms to sell the product alongside the original manufacturer. In regard to recent pharmaceutical takeovers, an important factor in AbbVie’s desire to merge with Shire was to diversify its drug inventory, as the former’s arthritis drug Humira is set to go generic in two years. Diversifying its product lineup is part of a pharmaceutical’s defense against the economic ramifications of generic drugs, which strip companies of their monopolies on a particular product and force them to lower prices since other firms can now sell the same product at market value. In response to the potential revenue loss and worker layoffs resulting from the loss of patent protection, pharmaceuticals might seek to add other products to their inventory, as a bulwark against the added competition from fellow drug makers. While generic drugs are an important factor behind the business decisions of these pharmaceutical companies, this year’s trend of industry takeovers is more indicative of corporate tax avoidance than it is patent loss, an issue that has come to characterize the political sphere just as much the business community. U.S-based pharmaceuticals have sought to lower their corporate tax bills through a process called inversion, whereby multinational corporations based in the United States merge with smaller firms located in lower-tax areas, many of which are in Europe. The discrepancy between the U.S. corporate tax rate and the rates of other countries demonstrates the allure of inversion. Take AbbVie’s merger with Shire. Instead of paying America’s highly uncompetitive levies on corporate earnings, the Chicago-based firm will reestablish its tax residence in the U.K. isle of Jersey, where the Dublin-based Shire is incorporated for tax purposes, lowering its effective tax rate to 13% by 2016. By incorporating anew in the Netherlands with foreign generic drug assets purchased from Abbott Laboratories, Mylan Inc. will see its corporate tax rate drop below 21% and decline further in years to come. 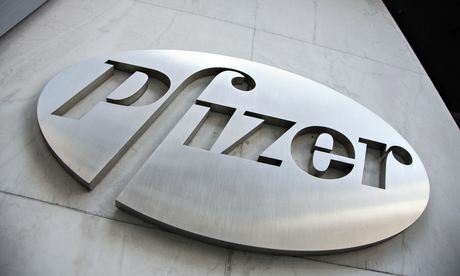 And had Pfizer been successful in its $100 billion bid to buy AstraZeneca, it would have saved the company billions in corporate tax payments over the next decade. Simply put, these takeover bids are merely rational business decisions, considering the substantially lower tax bills companies would secure as a result. But what appears to be a rational business decision for a corporation is often viewed as a devious act in the eyes of a politician, and this past week was no exception. This issue of corporate tax avoidance has been rumbling in Washington for some time now, but shot to the forefront this past week when Treasury Secretary Jack Lew, in a letter to House Ways and Means Committee Chairman Dave Camp (R-MI), excoriated the practice of inversions. Calling upon a need for “economic patriotism,” and beckoning Congress to “enact legislation immediately…to shut down this abuse of our tax system” Mr. Lew and the Obama Administration generally is seeking to crack down on American corporations that relocate their tax residences overseas. The president’s fiscal 2015 budget request in fact includes a proposal that would increase the threshold of foreign ownership for any such deal to fifty percent from the current twenty percent. This position, which would be retroactive to May, is supported by Democrats Carl Levin and Ron Wyden in the Senate, as well as Democrat Sander Levin in the House, the ranking member on Camp’s Ways and Means Committee. Underscoring the degree to which the issue has become politicized, The Wall Street Journal reported last week that Democrats may seek to turn corporate tax evasion into a campaign issue going into the 2014 midterm elections. But while disparaging corporate tax dodgers could potentially drive out more voters to the polls this November, it misses a broader point, one that sheds light on the motivation for these inversions in the first place—the corporate tax rate is too high, and efforts should be focused on reforming the tax code rather than demonization of the corporations that are hampered by it. At 35%, the U.S. corporate tax rate (if combined with the average rate among the states) is the highest within the Organization for Economic Cooperation and Development (OECD). The tax is expected to generate 11% of federal revenue through 2024, according to the Congressional Budget Office. And yes, that projection figures to be even lower if corporate inversions continue at the rate that they have in 2014 thus far. But perhaps some attention needs to be paid to the negative effects of this tax on the companies that actually pay it, i.e. the companies that stay in America. For one, the corporate tax rate can drive down workers’ wages. It is true that many low-level employees of corporations find themselves working at low wages, but the economics of taxation would point to our 35% rate contributing to such low wages in the first place. With more of its earnings going to the government in the form of taxation, a corporation finds itself making up the difference in other areas, often in the form of lower salaries going to its employees. This lowers the prospective employee’s incentive to work for the company in the first place, and undermines the company’s overall level of productivity through a smaller workforce. If corporations hire less workers, it diminishes the American tax base overall, with a smaller payroll receiving fewer separate incomes from which to collect income taxes and payroll taxes on. Furthermore, the lesser amount of income received means less money to spend on other consumer goods at the individual level. Such goods are subject to sales tax and generate the income for the host companies that sell them, which is money that will itself be subject to further taxation at some point. And if wages aren’t being negatively affected by the corporate tax burden, it is likely that prices are, with substantial mark-ups imposed as a means to combat income loss, making products less affordable to consumers. So it’s clear that corporate inversions are not the sole culprit for loss of tax revenue. It comes as no surprise why the U.S. corporate tax rate is so often assailed as uncompetitive, illuminating the wisdom behind pharmaceuticals’ decisions to relocate their tax residences elsewhere this year. What Secretary Lew’s call for economic patriotism fails to take into account is the real drag that our 35% corporate tax rate has on our economy. It’s not the fact that corporations are moving overseas that is unpatriotic—it’s the fact that a highly uncompetitive tax rate makes them want to in the first place. Faced with the specter of losing patent protection and increased competition from generic drugs, on top of an ever persistent tax drag, recent inversions among pharmaceuticals are understandable business decisions. Nobody likes to see companies leave the U.S., but the prominence of inversions this year gives Washington another opportunity to seriously reconsider corporate tax reform. Rather than molding corporate tax evasion into a campaign tool to be used for electoral success, Washington should get serious about lowering the corporate tax rate to make our economy more competitive. And instead of questioning the patriotism of pharmaceutical companies like AbbVie, Mylan and Pfizer for seeking to pay taxes elsewhere, we ought to be thanking them for forcing the issue of corporate tax reform back into the limelight.